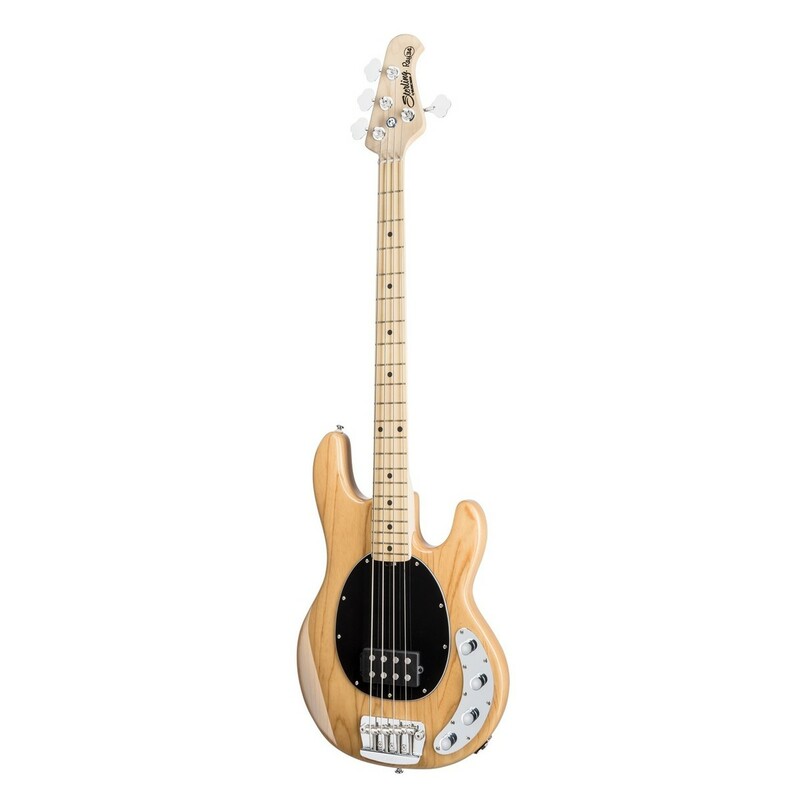 The Sterling by Music Man Ray34-NT Bass is Sterling's more accessible tribute to the classic Music Man Stingray Bass. 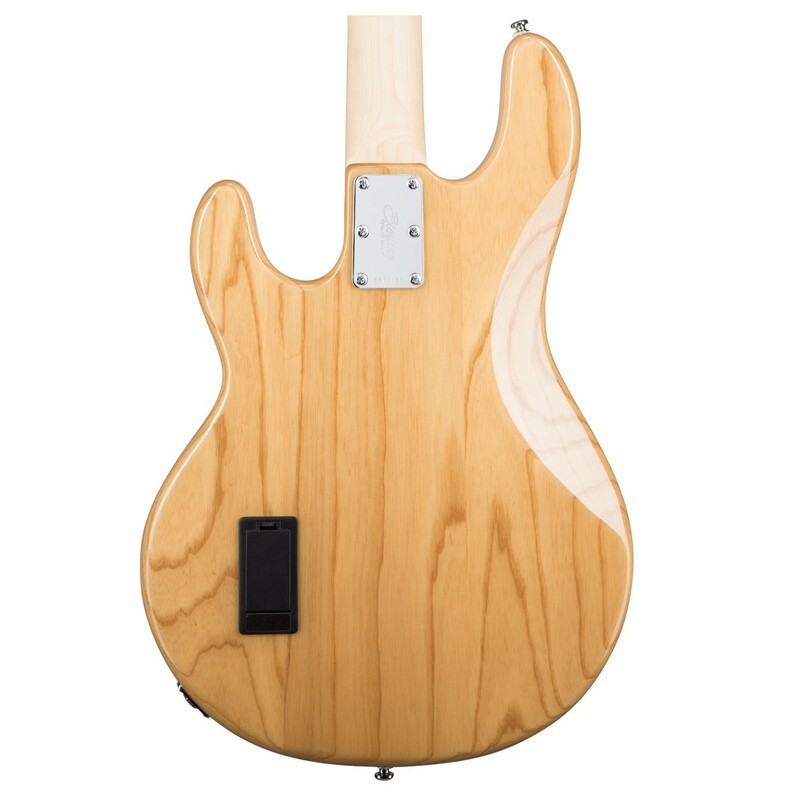 The Ray34 is crafted with a lightweight Swamp ash body which provides sweet, twanging tones with excellent sustain. Amplified with the active preamp, the tones picked up by the Music Man Designed Bridge Humbucker are beefy and full, with plenty of clarity. Equipped with a padded gig bag and Ernie Ball strings, this instrument is durable and sure to provide an epic bass performance. 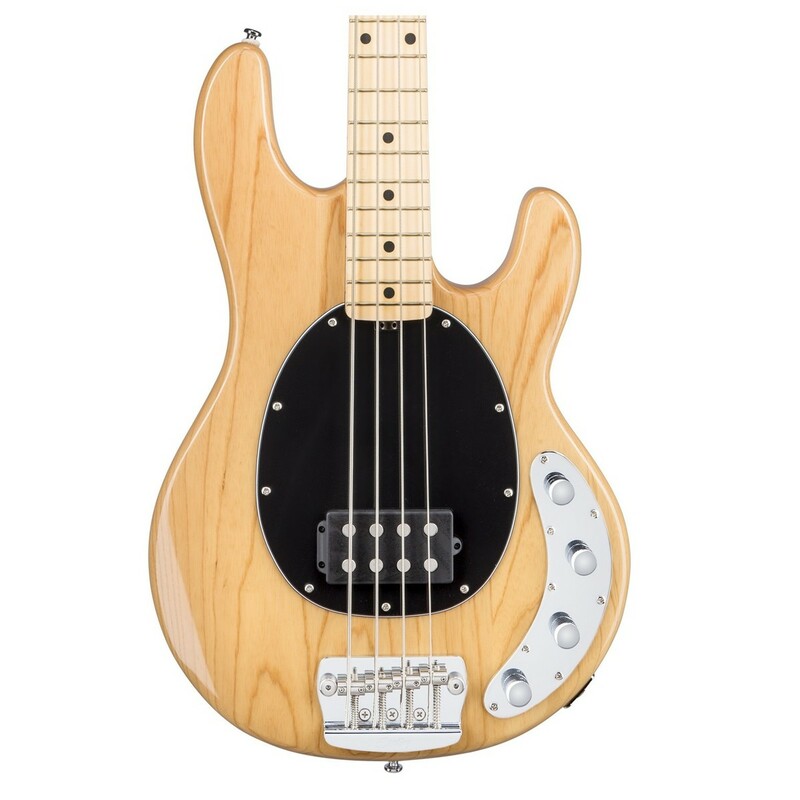 The Sterling Ray34 Bass features a lightweight Swamp ash body delivering a sweet, twanging tones with excellent sustain. The bright tonewood offers a slightly scooped midrange with firm lows and pleasant highs. The lightweight ash with a double cutaway is ideal for those wanting a comfortable guitar for long studio sessions or gig nights. 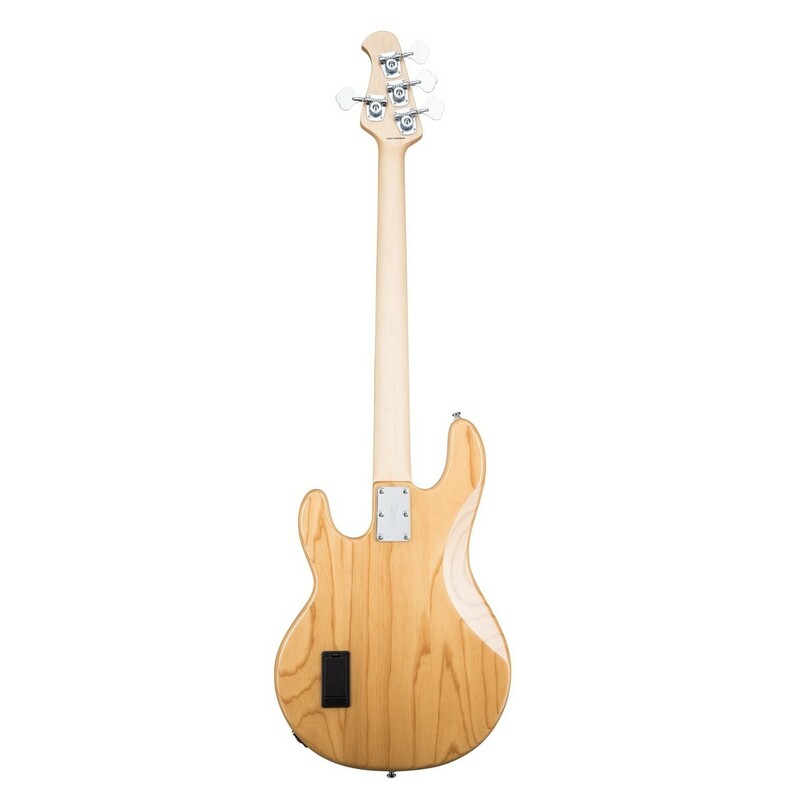 The Ray34 features a smooth maple neck which enables fast and comfortable playing. The bolt-on maple neck yields bright and twangy tones with amazing clarity, while the maple fingerboard offers great sustain. Equipped with quality, Music Man designed electronics, the Ray 34 features a single bridge humbucker for a beefy, amplified sound. The built-in active preamp provides a clean signal to your amplifier with great, full tones. The ergonomic controls are placed in a sweeping curve which makes it easy to adjust your sound in one movement. 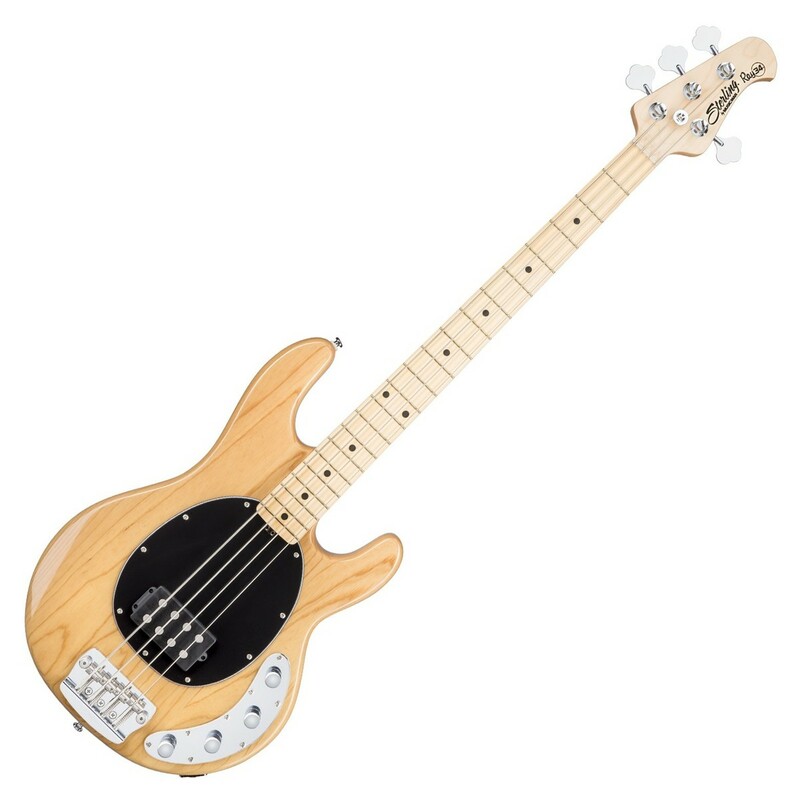 The Ray34 is instantly recognisable as a relative of the classic Music Man Stingray Bass, with its clean lines and curvaceous shape. The black, oval pickguard and open back tuners create a retro look, while the classic natural finish allows the wood grain to stand out.